SLOW DOWN! Increase officer safety while simultaneously limiting your liability. Tired of sending students to class and having to pay for their travel and lodging? We can eliminate both of those costs by sending instructor(s) to you rather than sending students to us. This allows your agency to potentially put more people through the training. Being the host agency for an OTOA training class can be a benefit to the agency by also allowing for free training slots. These free training slots do however come with a "cost". The cost is not financial but will require some work and logistics help on the part of the host agency. Read on if you’re interested. Possibly the most critical part of the planning process for any training course is securing a location conducive to the events requirements. The work involved in hosting a training course starts the moment the agreement is signed with OTOA HQ. 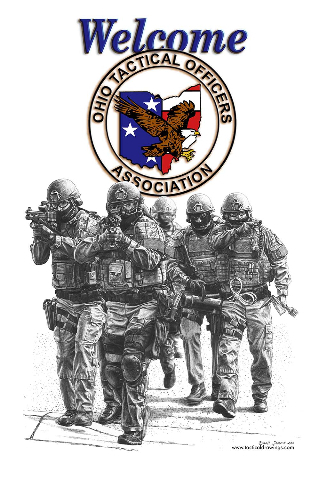 Pre-Event - Once confirmed, coordinate the training event with OTOA Training Operations Chief, locate and secure classrooms, ranges, other venues as needed. Host agency is also responsible for marketing and LEADs announcements, (LEADs announcements must be sent to the OTOA Training Operations Chief). Event - Assist with logistics and attendee needs, possible after class time/hours issues - venue changes, weather issues, etc. Depending on the training event, the OTOA will offer FREE training spots to the host agency. The quantity of FREE training spots will be negotiated between the host agency contact and the OTOA Training Operations Chief.